MUSIC: This is a song with futuristic electronic arpeggios, Moog synthesizers and Lynn drum programming. It has a speed of 118 BPM and is danceable. The song has a strong clear memorable chorus. Analog polysynths were used, such as Korg Polysix and Juno 60. Arturia Minimoog was used for some parts. LYRICS: The lyrics of the song have self-improvement themes. The lyrics motivate the listener to question negative thoughts. When we have negative emotions, they may not represent reality. We can stay neutral and see that some of our demons are our brains creation. I am mainly a songwriter. I write vocal melodies and lyrics that are meaningful and motivational. If you listen to the song, you will understand it has a purpose and a message. The amount of lyrics makes the backing track get less prominence, but that is part of the package. There are many tracks these days that get exposure by the blogs where the backing track is mixed very loud and the vocals just say stupid things or the typical love lyrics with some airy female vocals with huge amount of reverb, so as to not disturb the backing track. But do you want to just hear airy vocals with just two lines of nonsense lyrics? Not me. That is why I allow the backing track to be compromised. 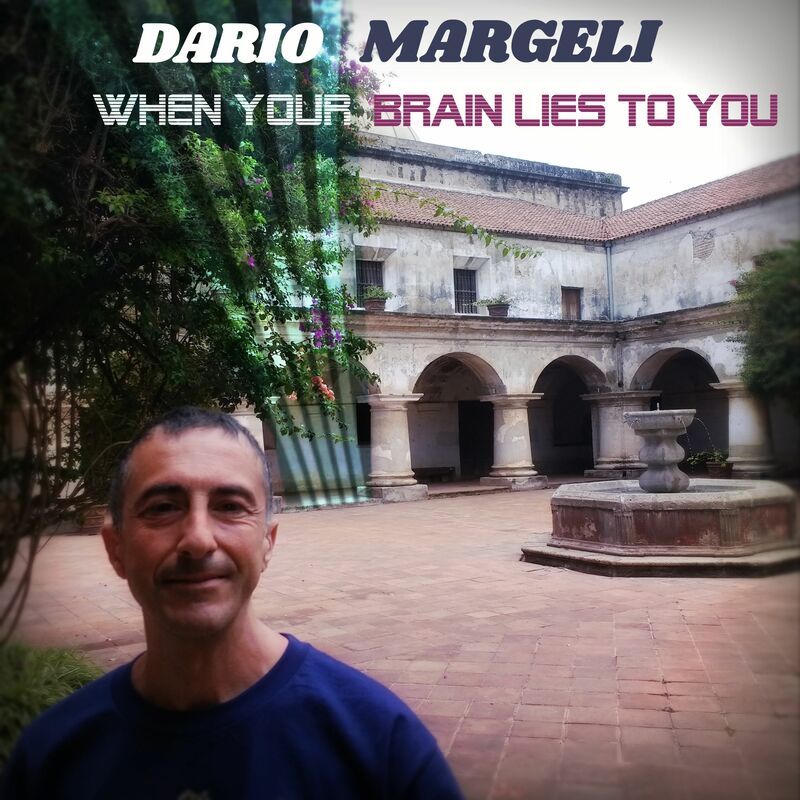 “When Your Brain Lies To You” is the presentation single for the album “Electronic”, available on iTunes and Spotify. Dario is a naturalized US Citizen from California. However, his parents were foreigners. He took music lessons in the 80’s, but eventually decided that what he loved most was songwriting, which he learned from carefully studying the structure of songs by Chic and Brass Construction (70’s funk band). In 1990 he recorded some demos inspired by vocal deep house music by Fingers inc (Larry Heard). He then had to attend college and work and left music behind. In 2008 he participated as a liner notes writer on a pair of CD’s released by NowAgain / Stones Throw Records, due to him having a specialized website on rare 45rpms. This inspired him to get back into music and in 2011 having relocated to Europe he released his first single. He has had minor success in Italy where he was featured in a campaign by clothing firm Sisley (Benetton) and in an article on Vice magazine, as well as on a radio program on Italy’s main radio and TV network RAI. His recordings all feature amazing session guitar players, including Hugh Williams from Florida and Philip Ockelford from near Cambridge (U.K). In 2013 Dario started studying Buddhist meditation and decided that his songs would be based on the well-being concepts that he is learning. By creating songs from them, he is sure not to forget some essential lessons.